Pasadena is one of the most established cities in California having been founded in 1886. With an estimated population of close to 140,000 residents, the city is also ranked in the top 200 of most populous cities in the United States, and the ninth-largest in Los Angeles County. The location is also known for the annual Rose Bowl football game and the Tournament of Roses Parade. With how busy the cultural center of the San Gabriel Valley can get at times, the need for auto glass Pasadena services has never been higher. If you find yourself in need of auto glass repair or other car glass services, then you should consider giving the experts at Mobile SGV Auto Glass a call today. Our company has been in business for 12 years and counting now, and our team of highly qualified mobile glass experts will also take pristine care of your automobile when you hire us to take care of your car glass issues. Every one of our mobile glass service technicians are trained and certified to work on both foreign and domestic automobile windows. We go to great lengths to invest in the quality of our team’s training so that our customers benefit from one of the highest rated mobile glass repair teams in Los Angeles. When you have an issue arise with your auto glass, you will not go wrong by making our company your first call to help take care of your auto’s issues. We commonly have repair teams available on same-days’ notice, and we will send the mobile repair team to just about any safe location around Pasadena and Los Angeles. The last thing we ever want to do is leave one of our customers hanging when they need their auto glass repaired or replaced to get back on the road in a safe driving condition. 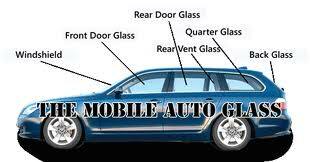 If you have any questions regarding our mobile glass repair services, simply give us a ring today. We will always go out of our way to answer your questions, and our company policy is to always give our clients a free estimate on our services.